1. Cut Along Piru Creek, showing heavy construction. The above photos explain the reason for the growing popularity of the Golden State Highway. 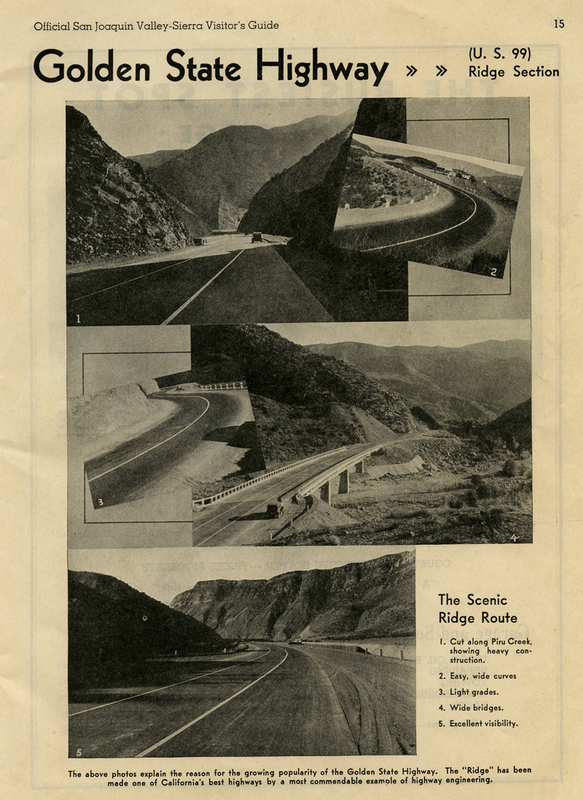 The ‘“Ridge" has been made one of California's best highways by a most commendable example of highway engineering. AL2097: 9600 dpi jpeg from page from original guidebook, collection of Alan Pollack.